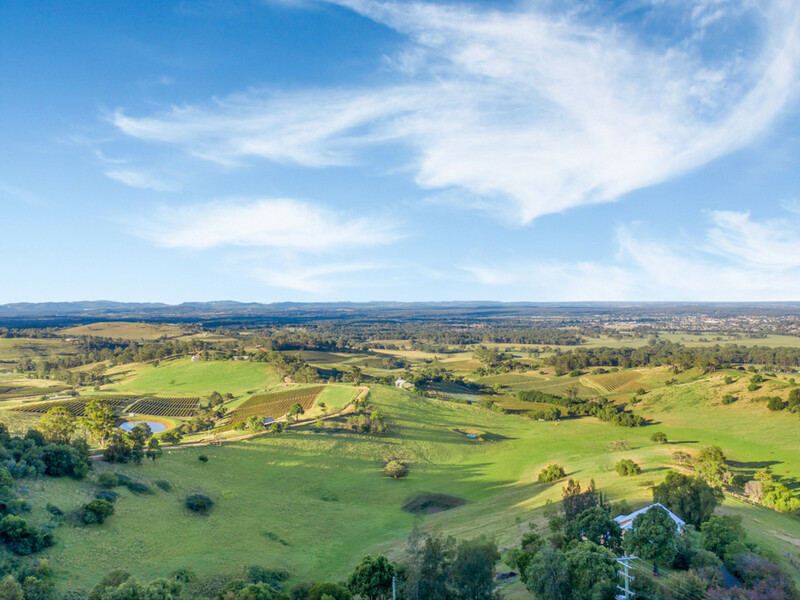 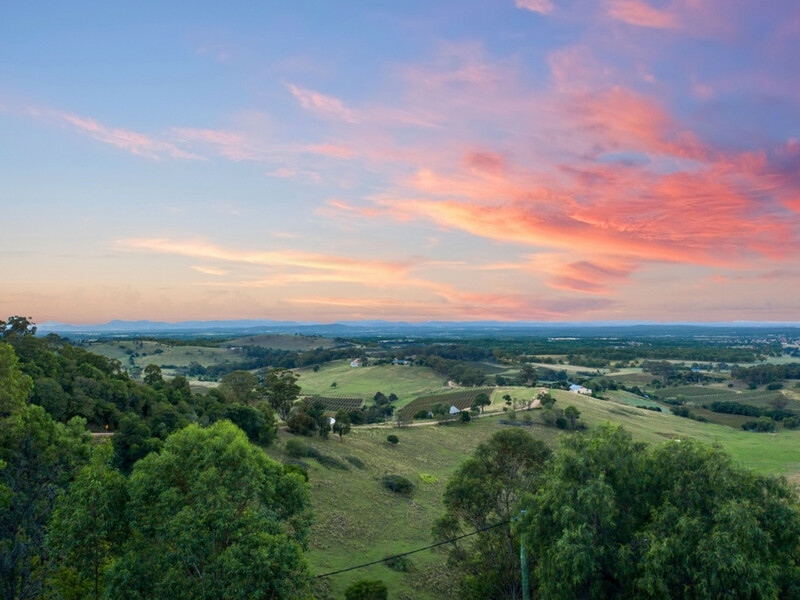 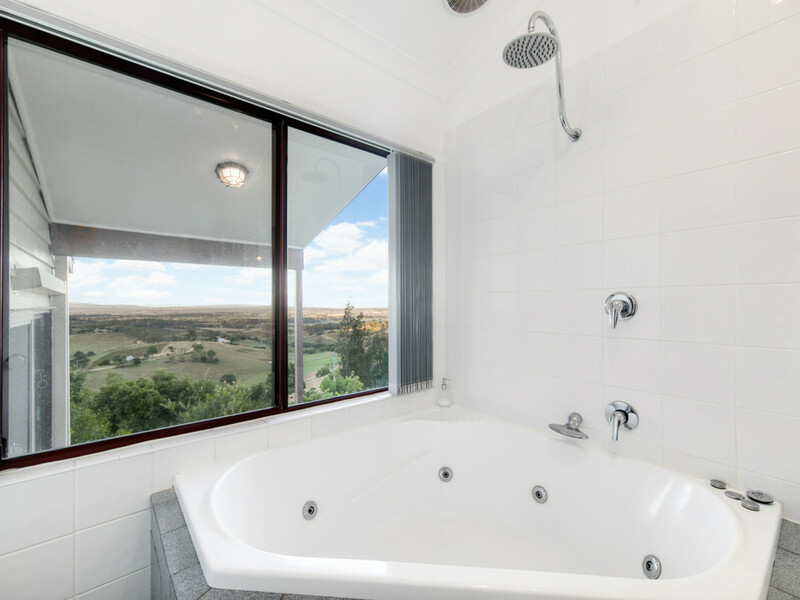 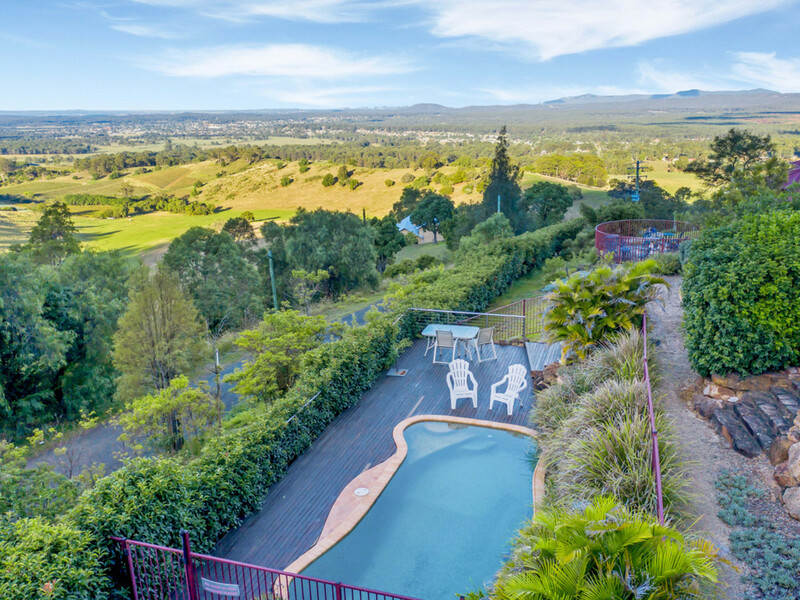 Spectacular views over Hunter Valley Wine Country, a successful accommodation business, two federation cottages, deep blue pool and two acres of Shiraz – there isn’t a box it doesn’t tick. 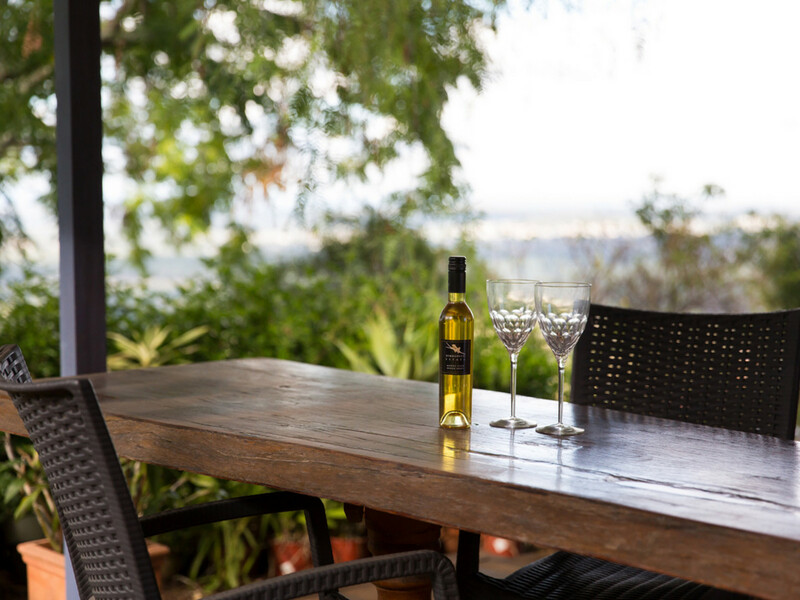 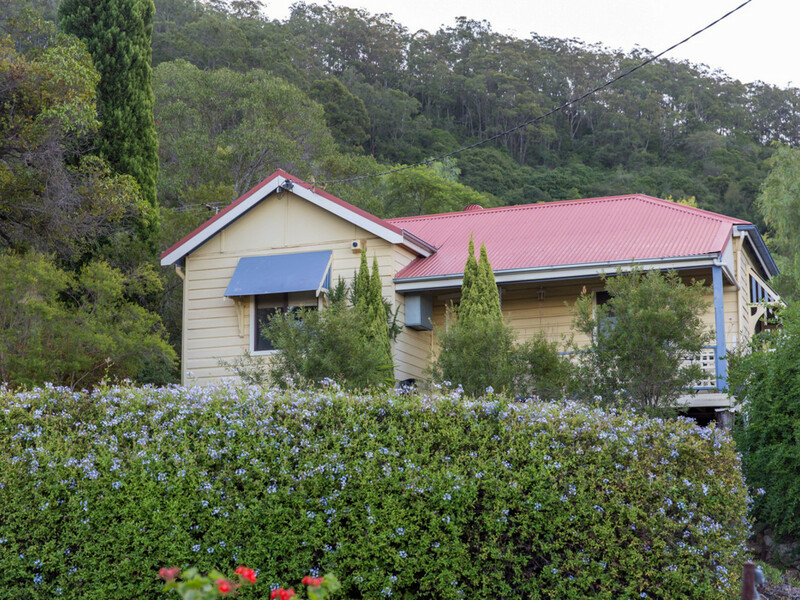 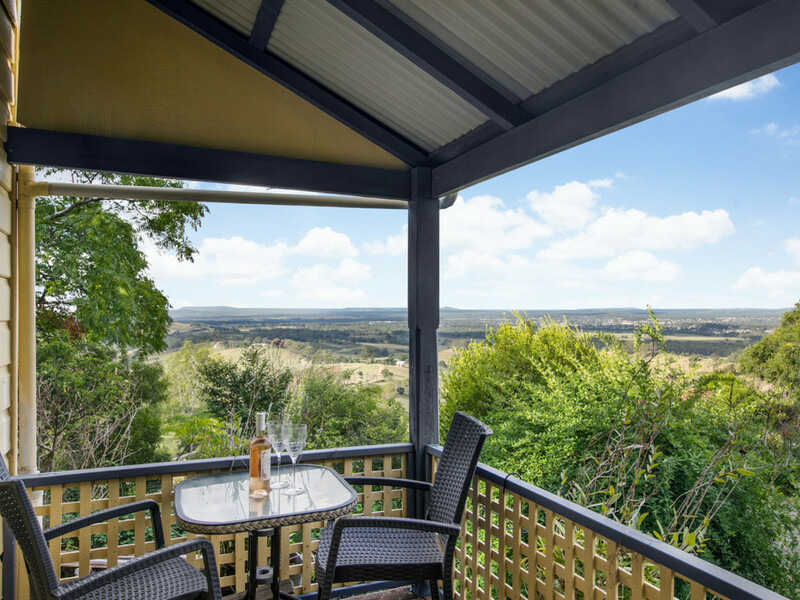 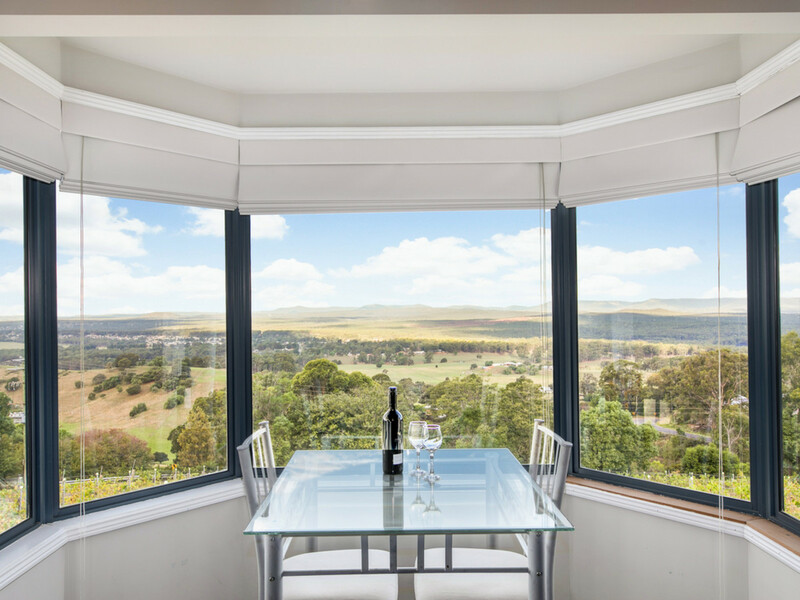 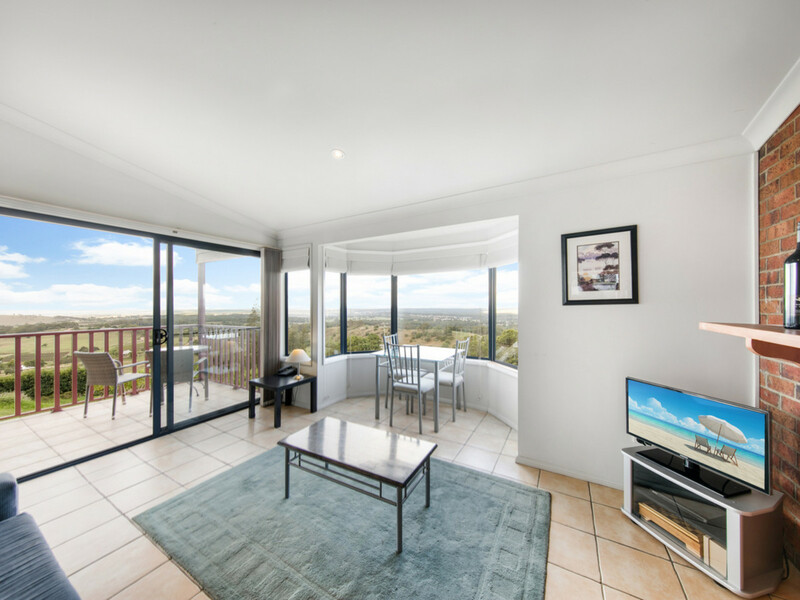 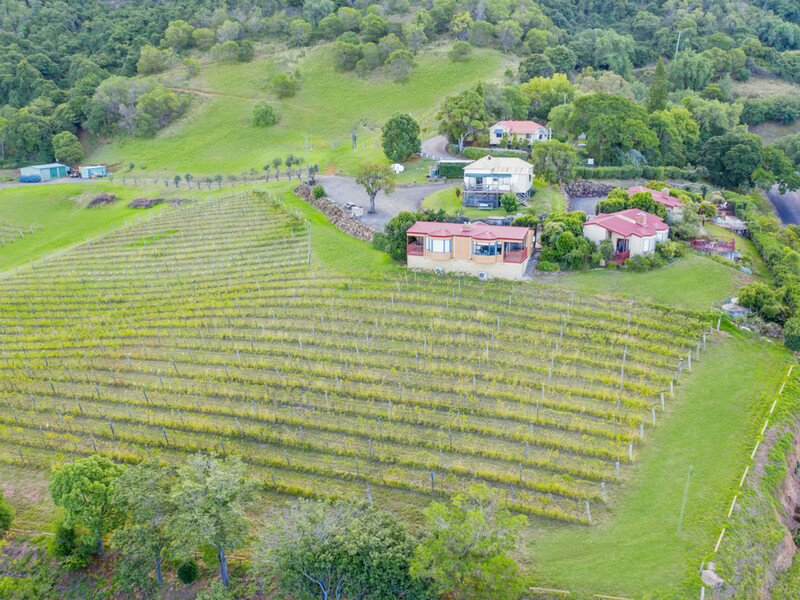 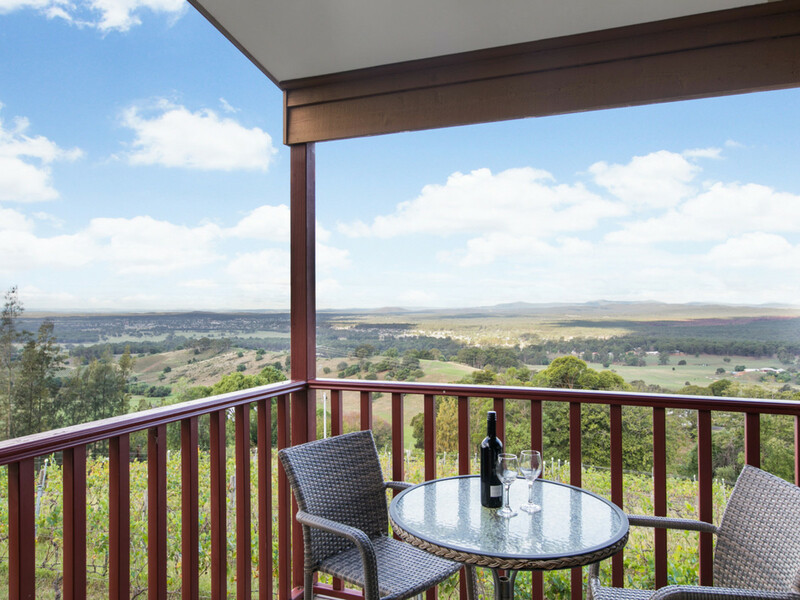 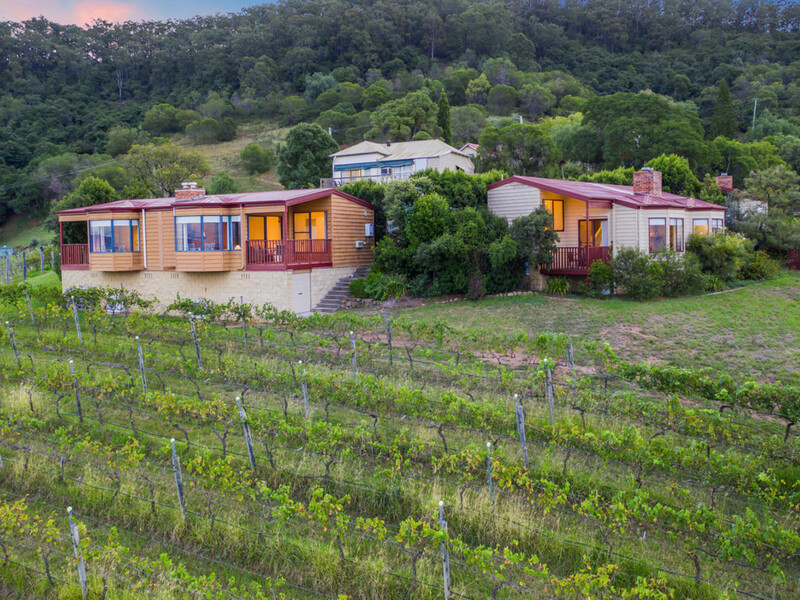 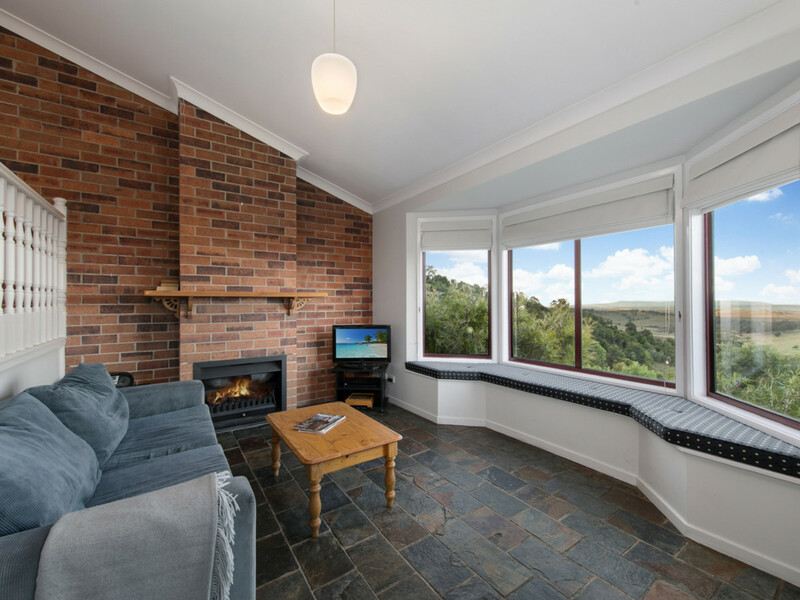 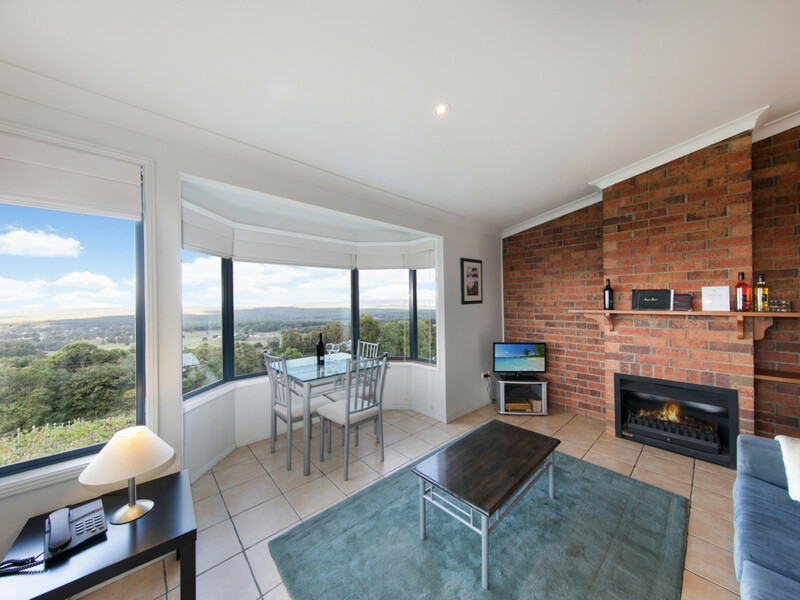 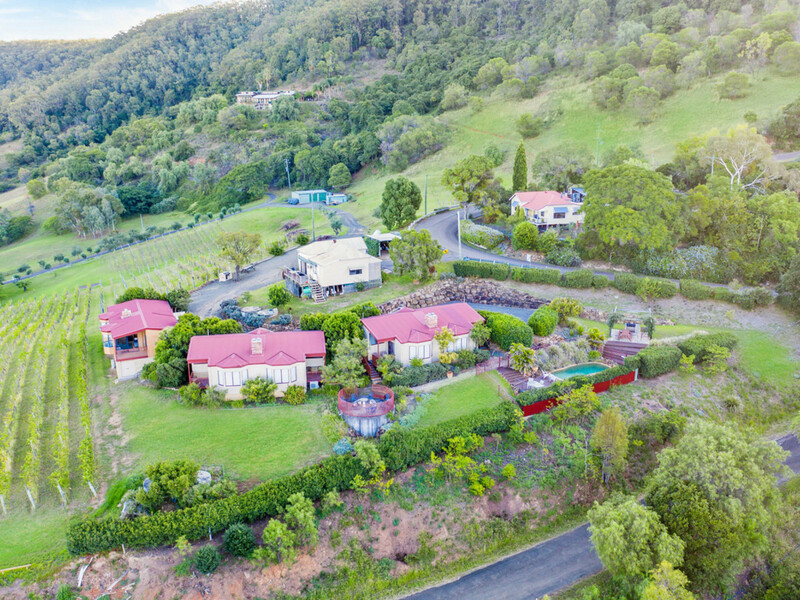 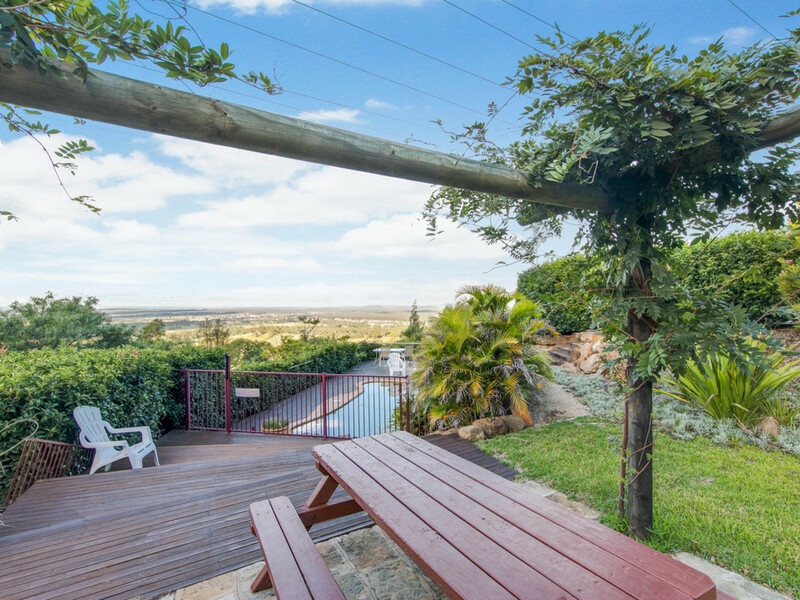 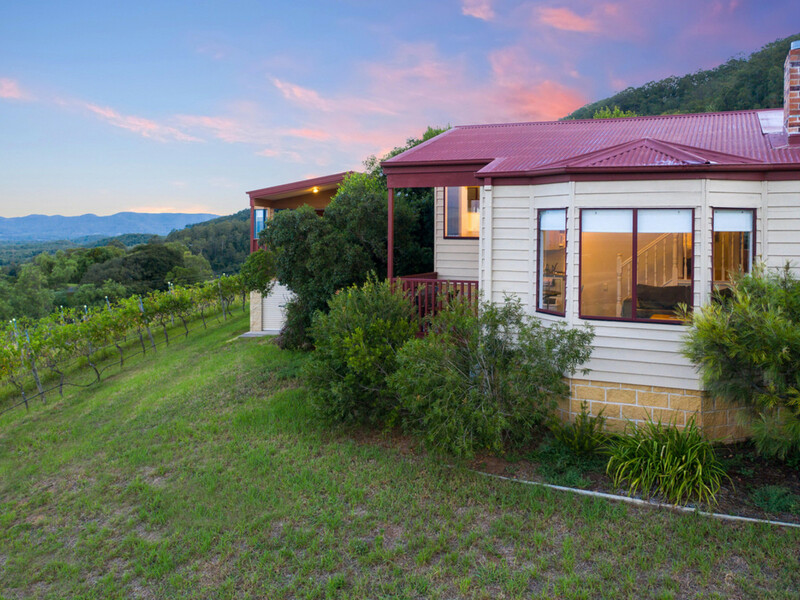 Set on 14 acres in breathtaking Mount View, six tourist accommodation villas offer panoramic views over the Hunter Valley and provide a solid established income. 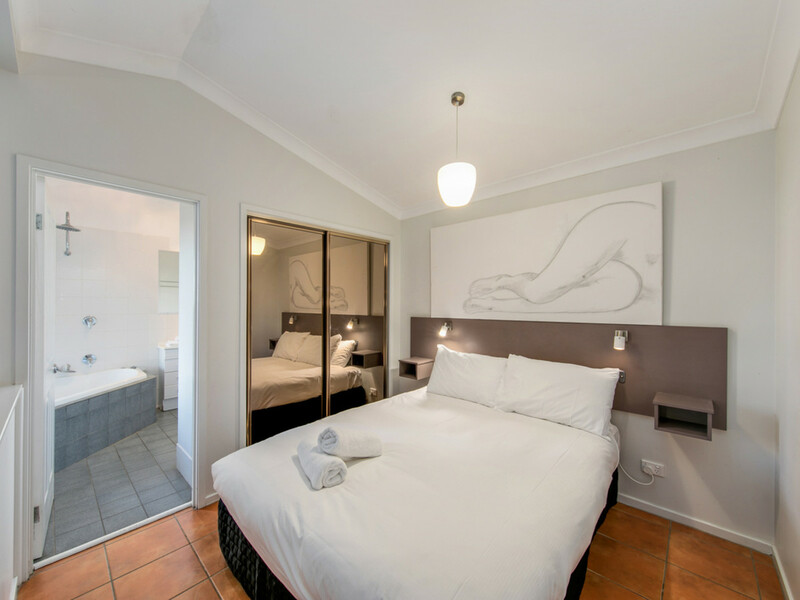 Catering to couples, the villas are studios with kitchenettes, balconies, gas fireplaces and spa baths and are also kept comfortable by reverse-cycle air-conditioning. 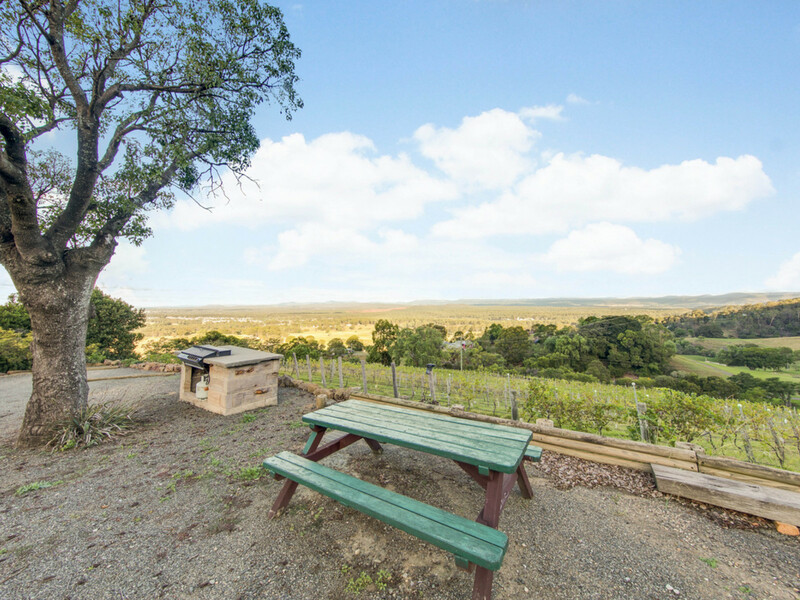 A concrete in-ground pool is just one place to sit and relax overlooking the vineyard and vine clad hills in the distance. 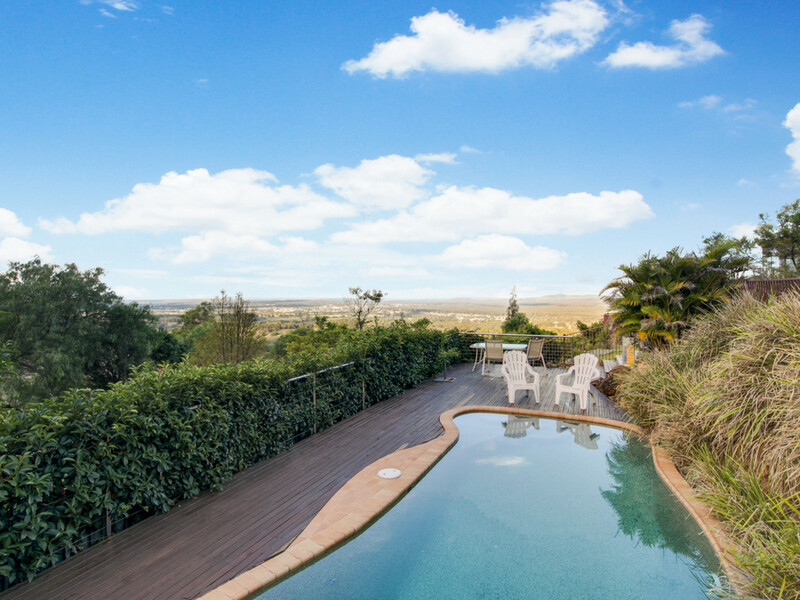 In addition to the accommodation villas, an original farmhouse is currently used as a reception space but had been previously approved to be converted to a restaurant. 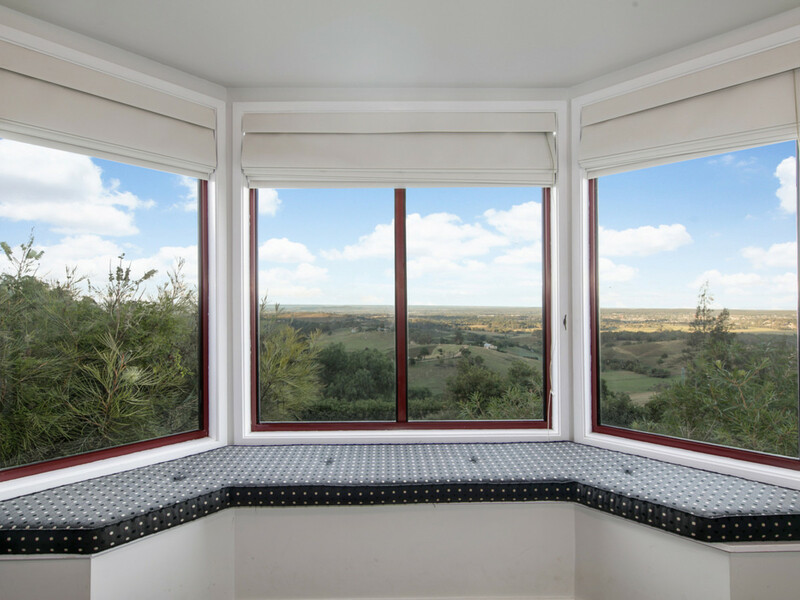 A further original farmhouse provides owner or manager accommodation which is privately set on the other side of the road but still offering breathtaking views. 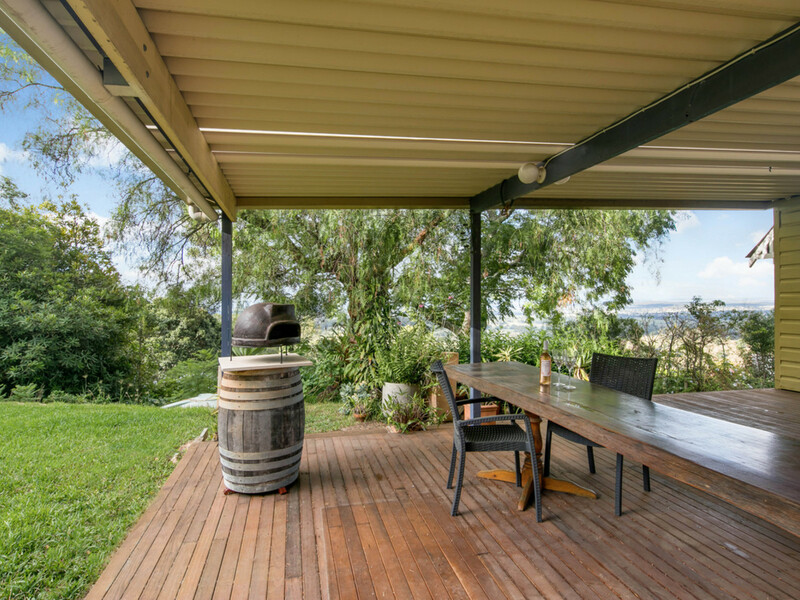 This home offers two bedrooms, a large bathroom and kitchen and a covered outdoor entertaining area. 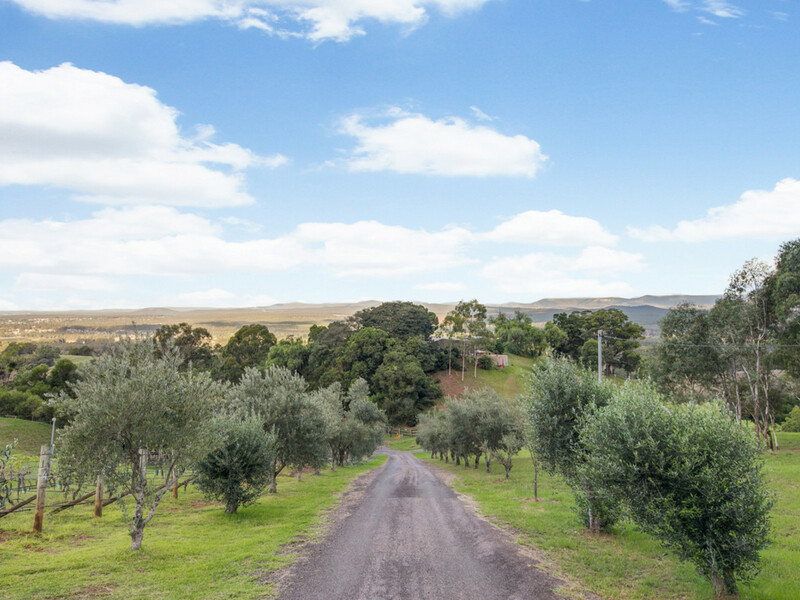 A small 2 acre award winning Shiraz vineyard is the perfect size to be interesting but not onerous, as is a small established olive grove. 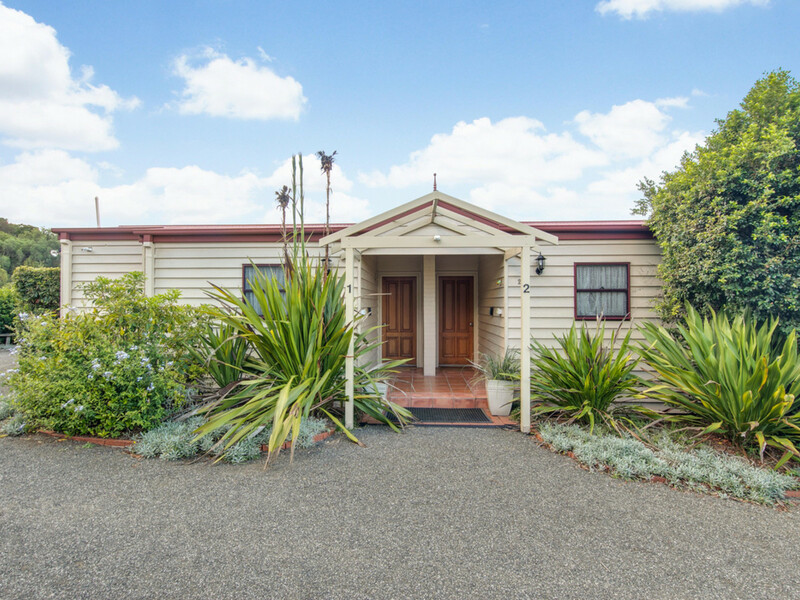 A large machinery shed and converted garage provide ample storage. 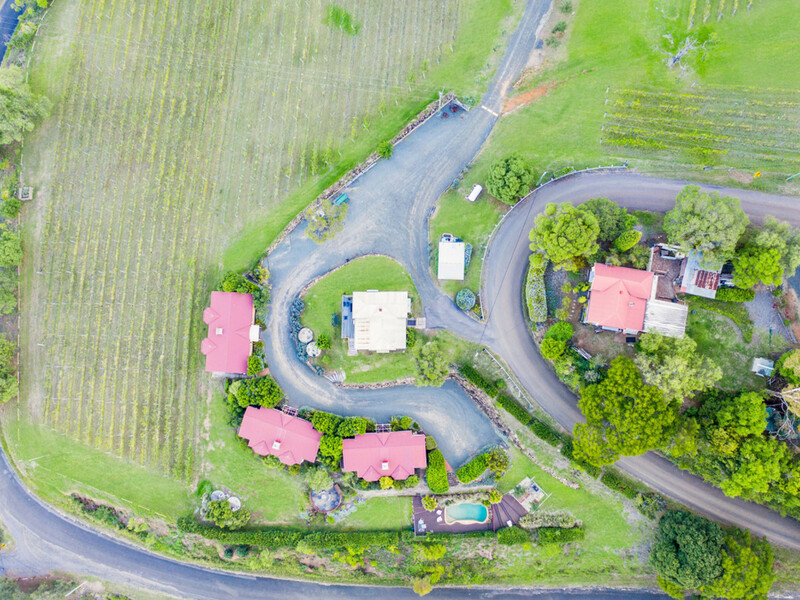 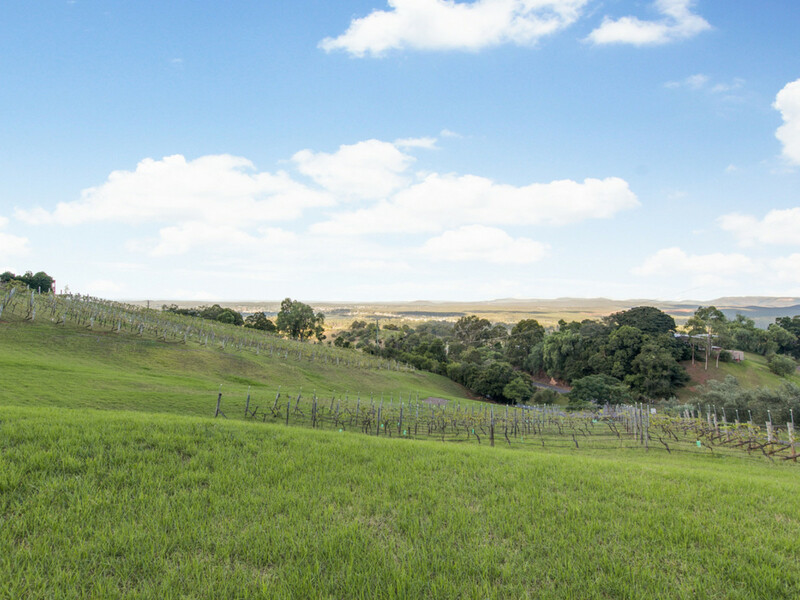 Bimbadeen Estate is located less than two hours to from Sydney and 1 hour from Newcastle and is immersed in vineyards and restaurants.